The app is Joomla 1.7 compatible only, only the latest and greatest! Looking forward to the future of Vimba! 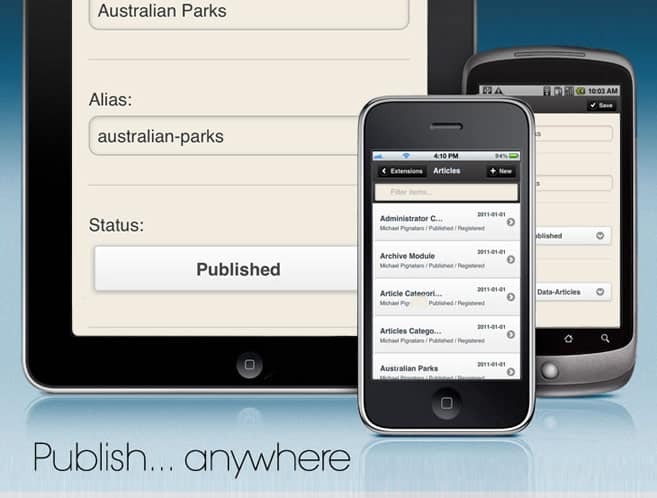 Finally an application that lets you update your Joomla website through your phone/ipad. I hope it’s stable, and I hope that the interface will be a simple as you’re describing it. We have been working hard with the developer to bug test it. It is coming together nicely. Will have an update here shortly on release. Rivo, thanks for the support. I may take you up on that offer in the future. nice apps. But you can also have the book on Joomla! Mobile Development. It’s a step by step guide. Thanks. Great websites and great apps, thanks for shared..